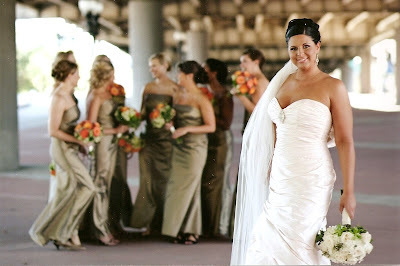 Here is another look at our friend Dominie’s wedding that we helped out with this past fall. 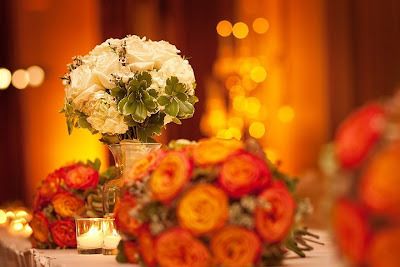 She had a warm, fall color palate that looked absolutely GORGEOUS at the ceremony and the reception. These bouquets were some of our absolute favorites from this year. 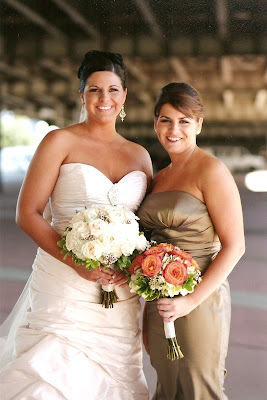 Dominie carried a classic, all white bouquet of roses, hydrangea, and waxflower. The bridesmaids’ bouquets were fall hydrangea, circus roses, and waxflower. 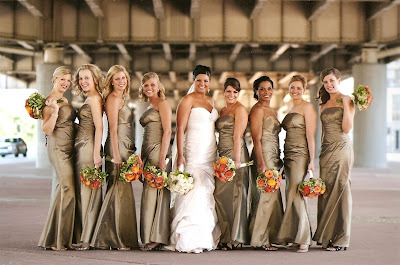 Look at how those colors POP against their dresses! 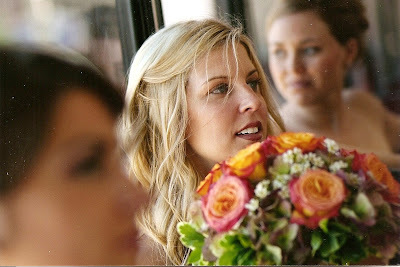 This shot really showcases the different textures in the bouquet. Here are just a couple of shots of the reception. There are many more in our previous blog (“Trees at the MAC”). 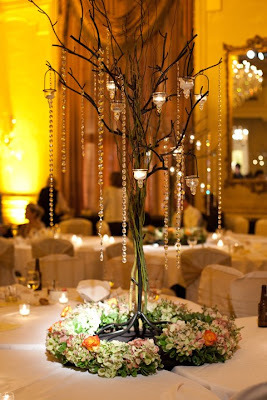 Our rental trees were decorated with these full, lush flower wreaths, covered in crystals, and accented in candlelight. 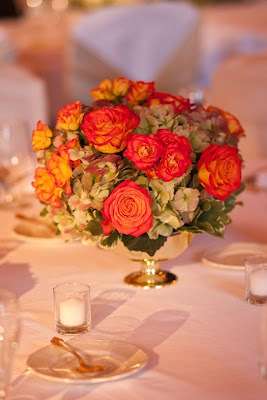 The opposite tables had these warm colored arrangements of wedding flowers. Sending all our love and best wishes to the bride and groom!! Thanks for letting us be creative !